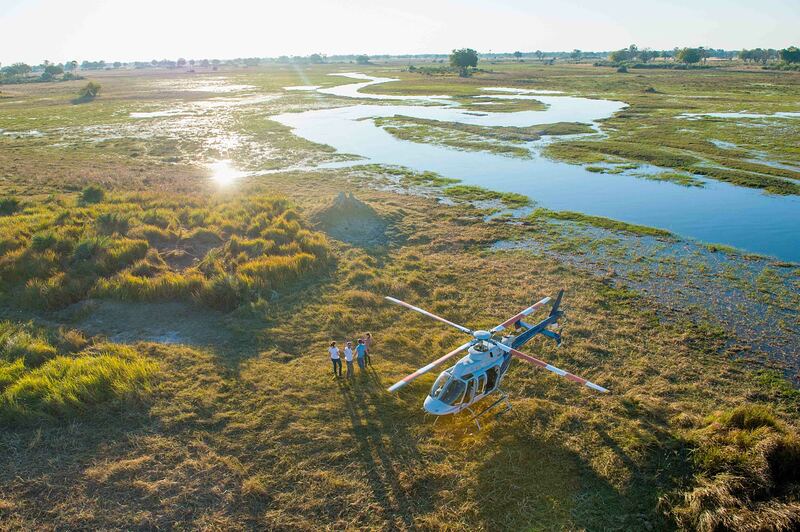 Botswana-based Helicopter Horizons is an experiential helicopter company, specialising in helicopter experiences for every traveller to the Okavango Delta, Makgadikgadi Pans, and the Kalahari Desert. From scenic and photography flights to private transfers, helicopter safaris, and various helicopter experiences such as village & Tsodilo Hills tours. Our team of over 10 pilots from around the world are highly experienced and extremely passionate about sharing their love of the region with each and every guest on board. Experiencing the incredible lagoons, crystal clear channels, and islands of the Okavango Delta is best from above, where you get to see the full expanse of this indescribable region. During your flight with Helicopter Horizons, you will fly in the safest and most reliable helicopters in the world — the Bell Jet Ranger and Robinson series. Your safety as our passenger is paramount. We are a Civil Aviation Authority (CAA) Certified Air Carrier and we pride ourselves on the fact that we adhere to an even higher level of safety that exceeds the regulatory requirements. All passengers are given a thorough safety briefing prior to their flight, including operation of doors, seatbelts and general safety awareness around the helicopter. All our aircraft are maintained to the highest safety standards and our helicopters are fully equipped for bush operations. Our highly qualified pilots will ensure your safety and comfort throughout your flight, along with providing informative commentary along the way.